Purchase Your Annie The Owl By November 30th and get a great gift for any child this holiday season. Support the Boys & Girls Club of Langlade County. Annie the Owl is an “adorable, cuddly companion who loves to make new friends.” All proceeds go directly to help support the club that dose so much for the youth of Antigo WI & all surrounding areas. 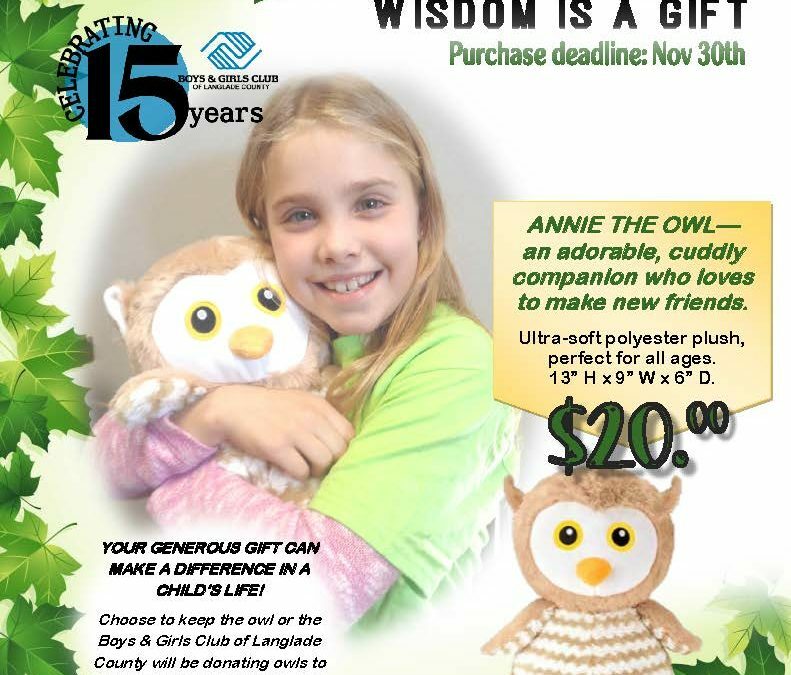 Choose to keep Annie or The Boys & Girls Club will donate owls to Langalde County children who are in foster care. Contact The Boys & Girls Club of Lanaglade County for more information.